Dale Chihuly is an American glass sculptor. His work is awe and art inspiring. 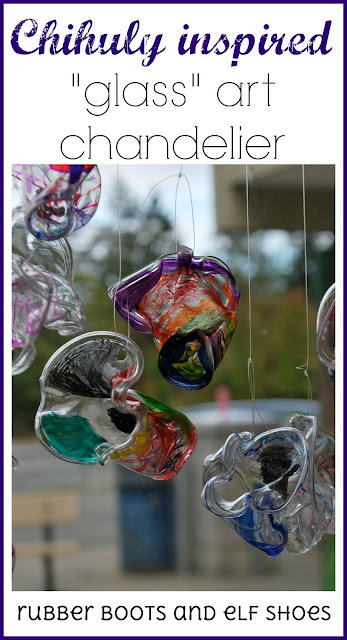 Amazing glass sculptures that rise from the earth or water, or hang from ceilings - explosions of colour that celebrate life. I knew that we had to make our own version in kindergarten. Lyn Goff of Mrs. Goff's Pre-K Tales showed us how. 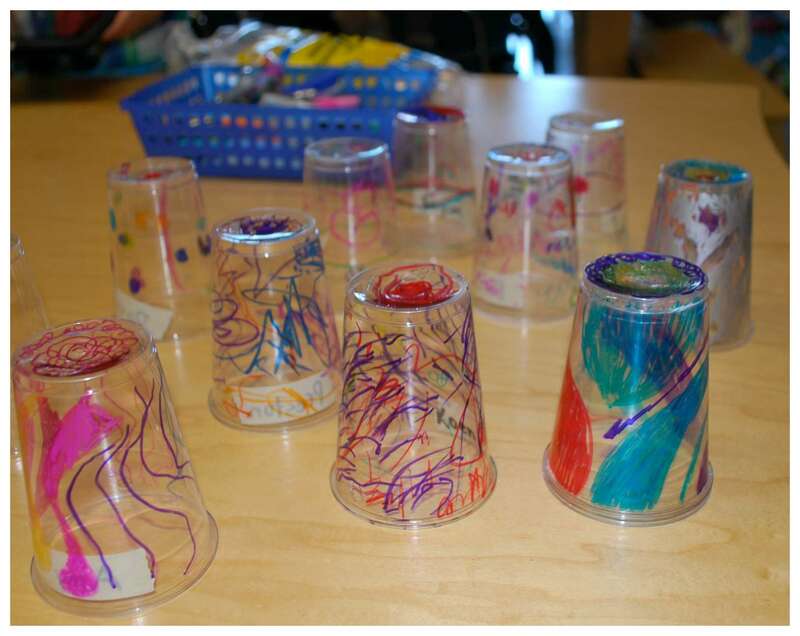 The kids each decorated a plastic disposable cup with Sharpie (permanent) markers. It was fascinating to see the different artistic ideas at play. 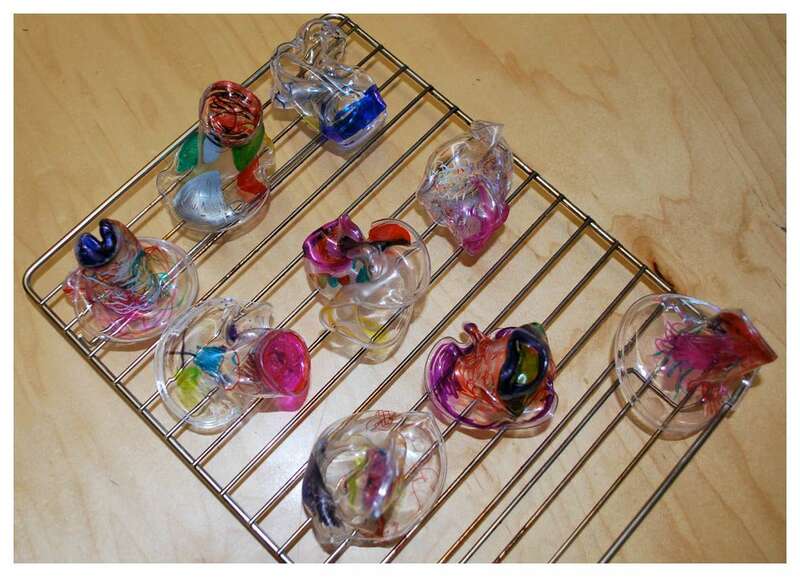 The artists watched the cups melt and said when they were ready to come out. The cups changed into the most wonderful variety of shapes. They looked amazing all collected in a bowl. Maybe another time we can hot glue them together to make a larger sculpture. This time the cups were hung with fishing line from a piece of driftwood hanging in our window. They catch the light and bring a warm glow of colour to our classroom. What beautiful creations they made! I never would have thought of doing that-thank you so much for sharing. Thanks. The kids' creations turned out even better than I had hoped. And it was fascinating seeing each artistic process at work. 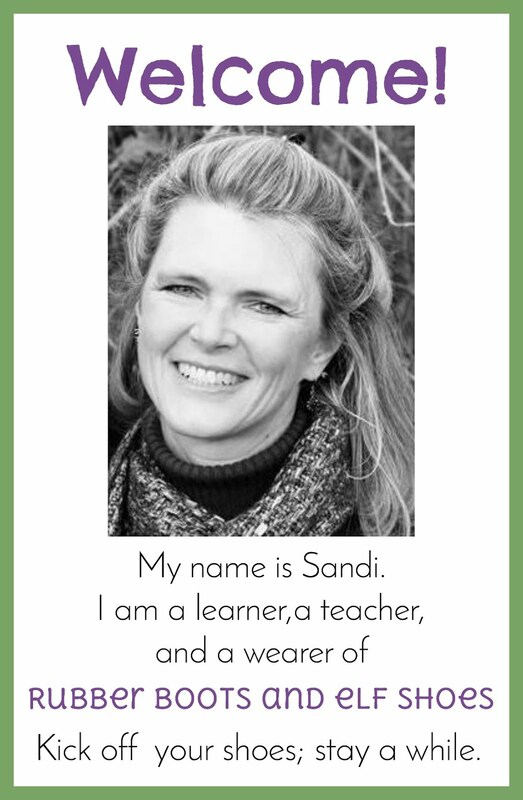 Wow, Sandi! That is seriously cool! 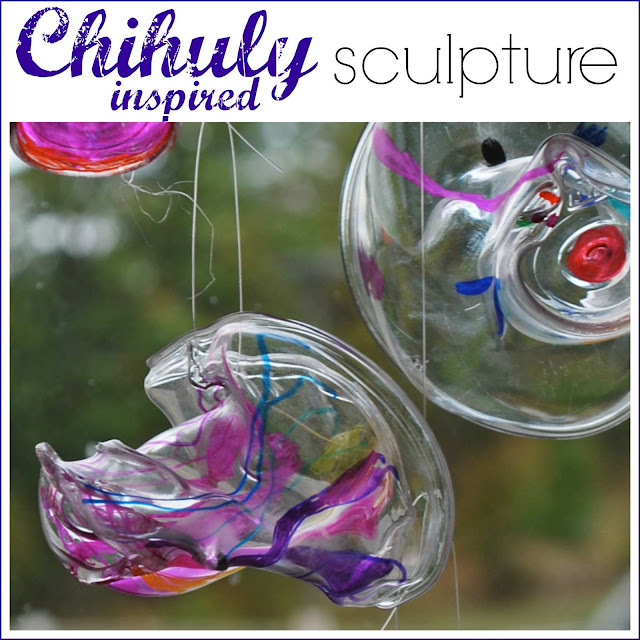 I FINALLY managed to carve some time to make Lyn Goff's Chihuly Masterpiece project. And, I agree, it is seriously cool. Everyone who walks down the school hallway is dragged in to admire my kids' creations. These are so pretty --- did you put a hole in for hanging BEFORE baking or after? Really want to do this with my grandsons. 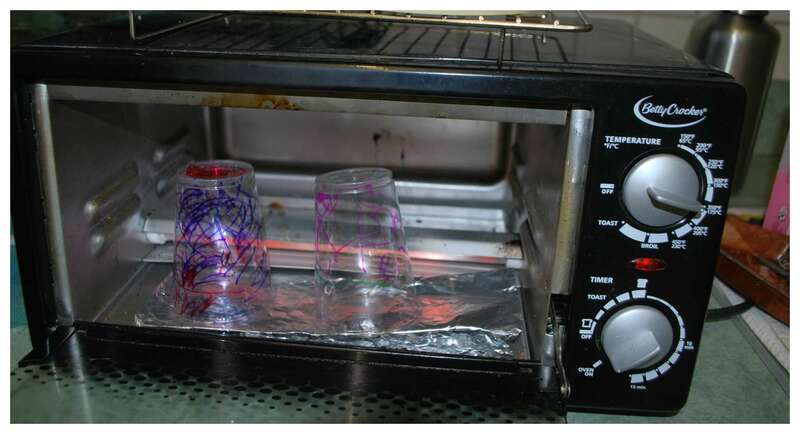 I used a hole punch to make a hole before I put the cups in the toaster oven. On a few, the hole collapsed on itself. I used a drill with a small bit on "slow" that that made a hole without cracking the cup. Hi Janis. Thanks so much for dropping by. Thanks for the invitation - I will drop by and link up. Thanks for dropping by - and for pinning and sharing. I'm here from the Jenny Evolution link up and I am just SO AMAZED at this craft! I am slowly becoming a chihuly fan and this so genius. Won't you stop at my blog, too? Thanks! Thank you for your wonderful inspiring blog! Just wondering about how long did it take for the cups to melt? Hi Julie. 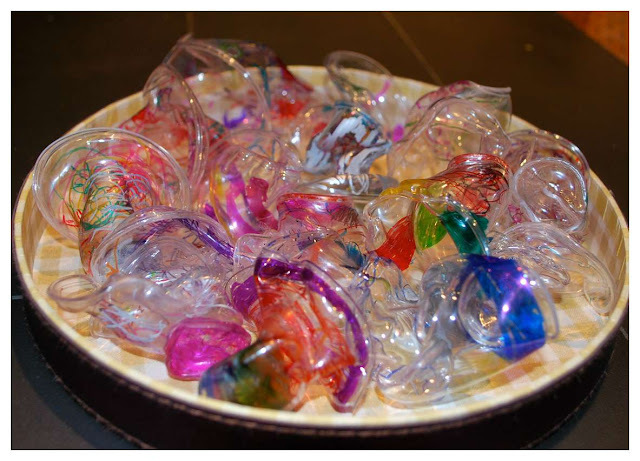 The cups melted very quickly - about a minute! I'm in love with this idea. 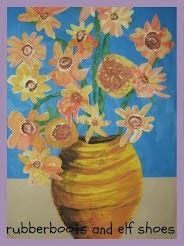 Also I'm a kinder teacher and a fine arts minor so I am always loving how to incorporate art into learning activities. Thanks for sharing! Question: when did you start blogging & how did your journey begin? Hi Katy. I love incorporating as much art as possible into our kindergarten learning - both process and product focused activities. 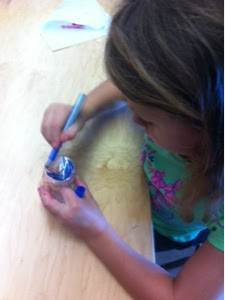 The kids really enjoy exploring famous artists and their various styles and techniques. I started blogging in 2012 (I think) because I was beginning to offer workshops and wanted to have an online "portfolio". 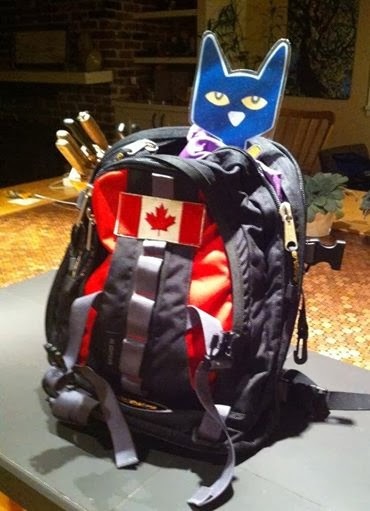 I have enjoyed the virtual and real life educator connections that I have made through blogging. These people have stretched my thinking and taught me through our interactions. I think that blogging has made me a more reflective teacher. If you are considering blogging, I would suggest that you think up a name, choose a platform, and jump in.